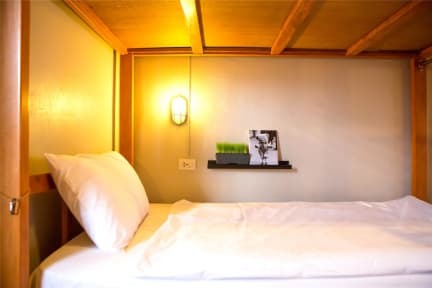 Camas confortaveis, quartos espaçosos, boa area de lazer aos hospedes com bar e sinuca. Banheiros limpos e oferecem shampoo, sabonete e secadores de cabelos. Boa localizaçao para os passeios de barcos. SUper recomendo!! Great place to stay in Krabi old town. Very close to all the conveniences and it has all the amenities. Beds are comfy, communal spaces clean and a lot of places to chill and get to meet new people. You're provided with under the bed storage and it is lockable however you need to bring your own lock. Towels were provided which was an added bonus! Overall hostel is very good. Wifi is good. Would stay there again.